Current immunization records & birth certificates must be provided upon registration/enrollment. Kelly Cheney has worked as the Business Manager since 1999. 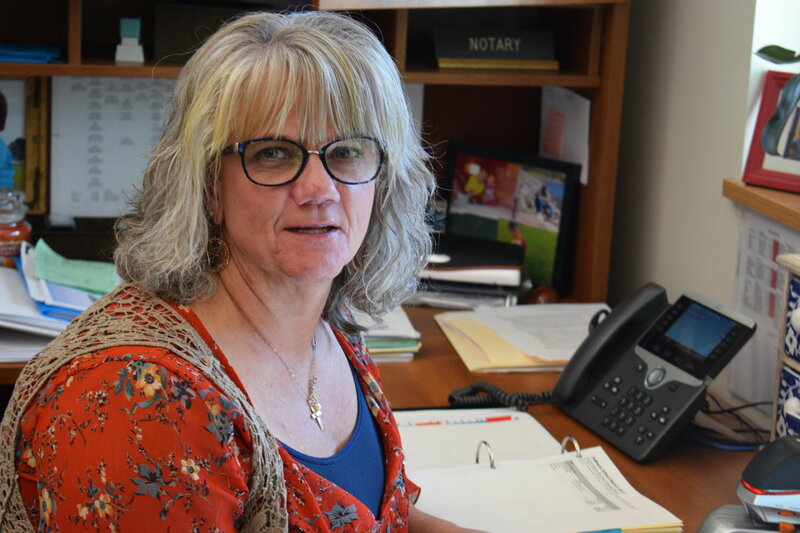 She started at De Beque as a District Clerk and has worked her way up to Business Manager. She has many different roles in the district. Her roles include: secretary to the School Board, Human Resource Manager, payroll, and she does the budgeting for the school sports. Mrs.Cheney loves her job because she gets to spoil the kids! The De Beque 49JT School District has the below positions open for the 2019/2020 Academic Year. All applicants must be able to pass a background check and must hold any licenses or certifications required by the District and/or by an outside governing agency. Positions are open until filled. All documents can be brought into the school office during regular business hours or can be emailed to: rdove@debeque.k12.co.us. For questions, please contact Robin at 283-5596.